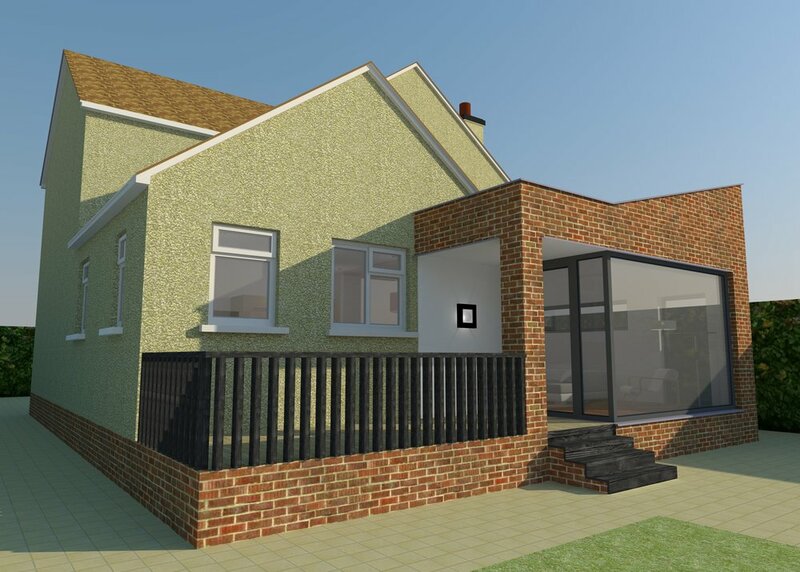 The client wished to make improvements to the layout of their living accommodation and to resolve issues with the flow of space to their kitchen.A proposal to create an open plan kitchen dining and living space as well as make some alterations to the plan involved removing a dated conservatory and adding a contemporary extension. The original house, built in a mixture of brick, block and then harled, gave the first indication of the material choice for the extension: brick. 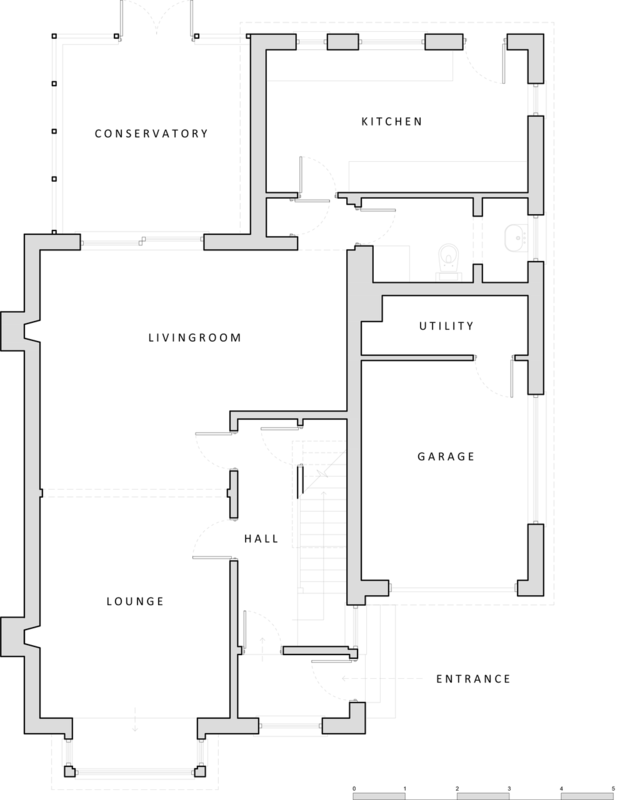 The form was determined by a response to the cadence of the pitched roofs and the scale of the proposal nestles in to the resultant void formed by the demolition of the conservatory. Some carefully designed steelwork allowed for a large window and glazed cormer, whilst the supporting brick column sits outside the extension, offering an opening to the point of entry and adjoining decking. The client worked within a tight budget and the design, though contemporary in form, was able to fulfil the brief as well as offer a striking addition to their home. 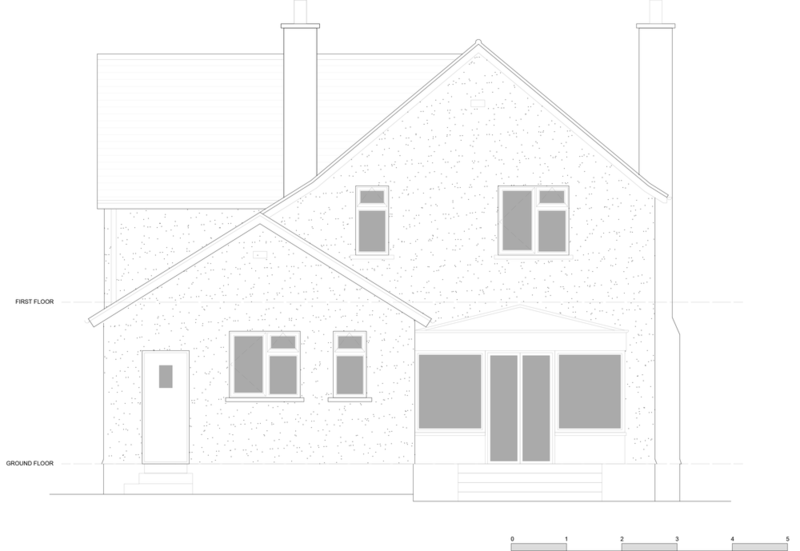 The project was completed whilst working at Signal Architects in Fife, with costing provided by the contractor and subsequent adjustments made by the architects to bring the project within budget.